We live within a small cluster of at least 54 galaxies (most of them small), given the unassuming name “The Local Group” by Edwin Hubble (1889-1953) in 1936. 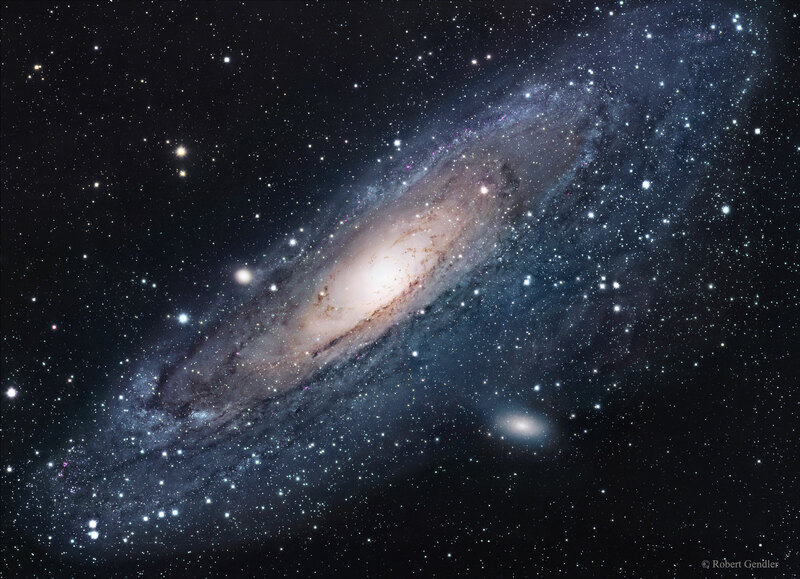 The largest of these, M31 (the Andromeda Galaxy) is a barred spiral galaxy 2.5 million light years from Earth. 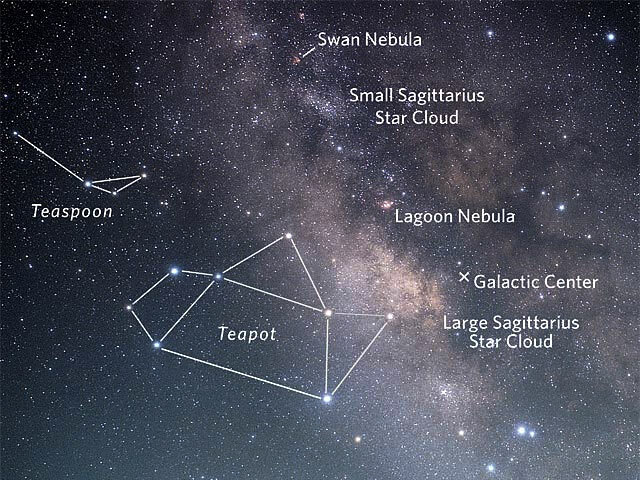 The second largest galaxy in the Local Group is our Milky Way, a barred spiral galaxy whose center lies about 26,000 light years away in Sagittarius. The third largest galaxy in the Local Group is M33 (the Triangulum Galaxy), a spiral galaxy (possibly barred) located 3.0 million light years from Earth. There are no other spiral galaxies in the Local Group. M31 and our Milky Way are moving towards each other, and will pass through one another (or at least graze: shall we call it star grazing?) in about 4 billion years. 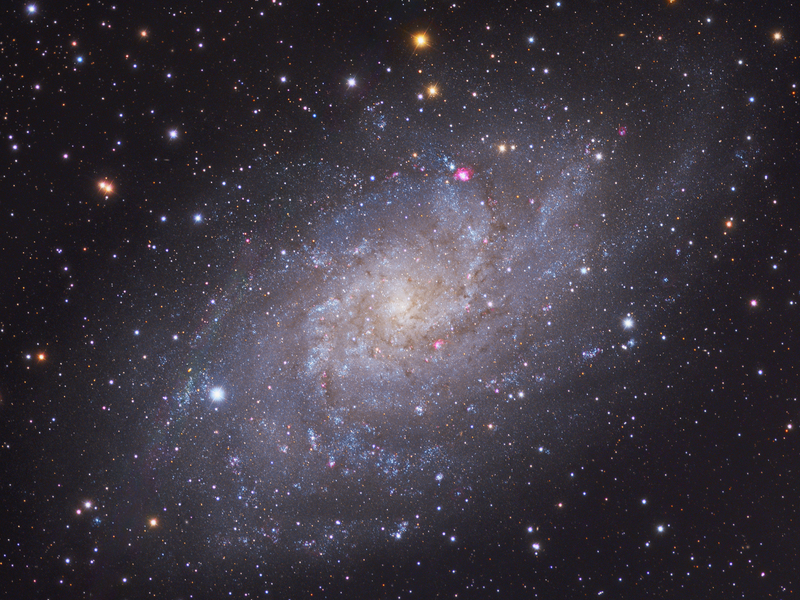 M33, however, is only about 860,000 light years from M31. Isn’t M33 in even greater danger of colliding with M31? 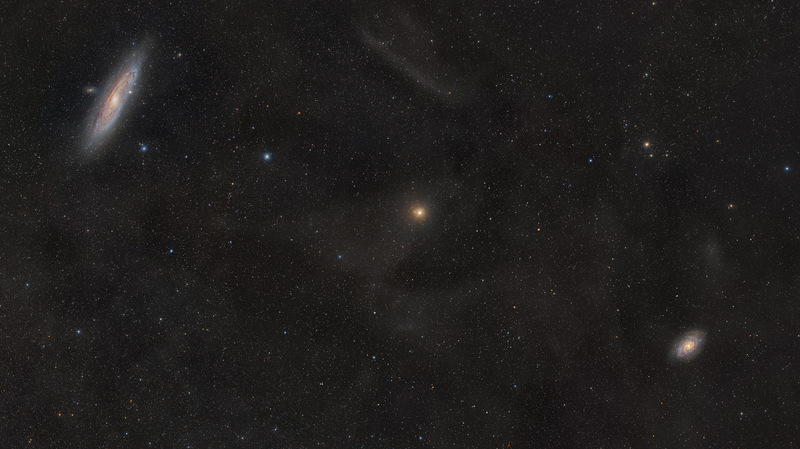 The answer is no, we don’t think so, because M33 appears to be orbiting M31. M33’s eventual role in the Battle of the Titans remains to be determined. Previous Previous post: Gentle Giant?